With a new baby and 2 sons ages 5 and 6 this is one of the most exciting Dial campaigns I have ever done because I have some great news! 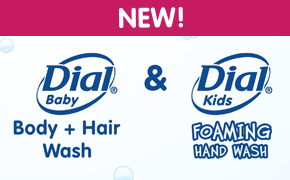 Dial now has a Dial Baby and Kids line! 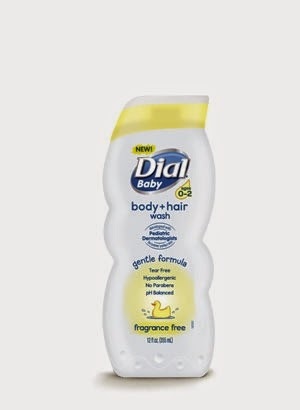 If you are like me and love Dial products you will for sure be on the lookout next time you are in the store. We got to try both and from the smile on Sierra's face you can see she was just as happy as mommy! Christian goes to school now and thankfully is in a better habit of hand washing than Gavin. I thank his teacher Miss Tara for this! Gavin is our little Pigpen from Charlie Brown if there is a speck of dirt to be found it ends up o Gavin so we really encourage them to wash their hands often with the new baby. 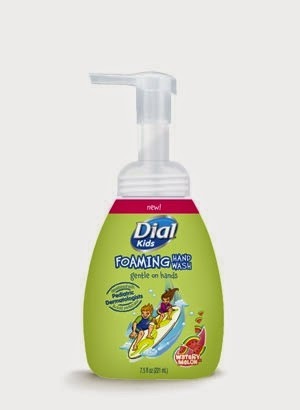 The new Dial Kids Watermelon Foaming Hand Wash doesn't just smell great it is fun for the kids to use. The pump action is easy to operate and the foam leaves little to no mess and cleans their little hands well. 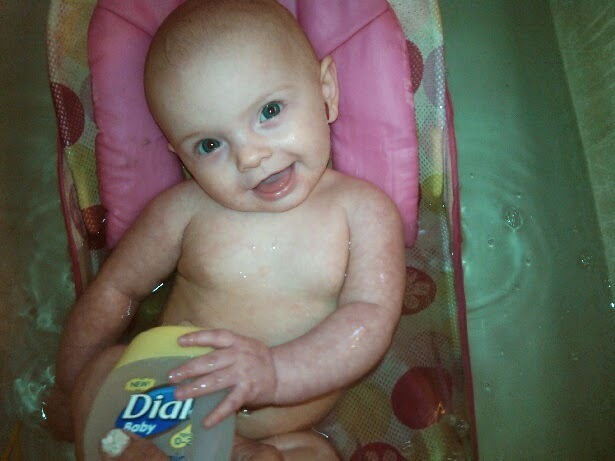 It makes hand washing fun for all ages! Hypoallergenic, no artificial dyes, no parabens, pH balanced and gentle on kids’ skin! I can't wait to try this I got a coupon for one and now have to decide which one I want to try!